After the success the 2018 product range of WD Black NVME drives had with their new in the house storage controller, Western Digital has finally revealed the WD Black SN750 NVMe SSD to the world with a new 2TB volume and a smooth looking heatsink co-designed by EKWB! But, the actual upgrade of the SN750 comes from its optional heatsink models planned to release next month on 500 GB -2 TB drives. The heatsink will provide the SN750 to perform at max capacity for a longer time compared to both the non-heatsink version of the SN750 and its rivals. While this heatsink may not be needed by gaming alone, even though that is the expected audience of the drive, the supported throughput will be hugely beneficial to content creators and video editors looking for the best performance. A New redesign of the WD SSD Dashboard is also in the works to work hand in hand with the SN750. This redesign comes equipped with a slick new UI and gaming mode feature that is only available to owners of the SN750. Gaming mode, when activated, disables the low power state of the SN750 reducing latency to load or open files allowing for the snappiest response times possible. This feature will really come in handy for users who aren’t as familiar with how to adjust their power states manually. 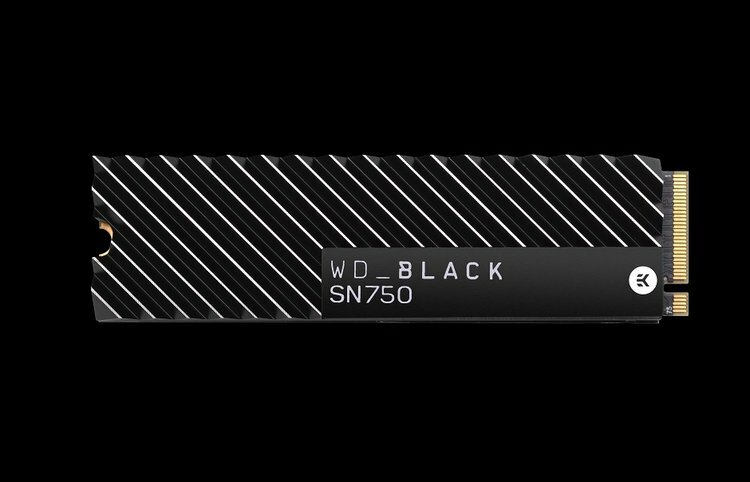 The SN750 will be launching this month for 250 GB – 1 TB non-heatsink models with prices well below the starting retail prices of last years WD Black NVMe SSD drives. The 2 TB non-heatsink and 500 GB – 2 TB heatsink models are expected to follow in February. Pricing for the heatsink models has not yet been disclosed but expect it to be a bit more than the standard versions.